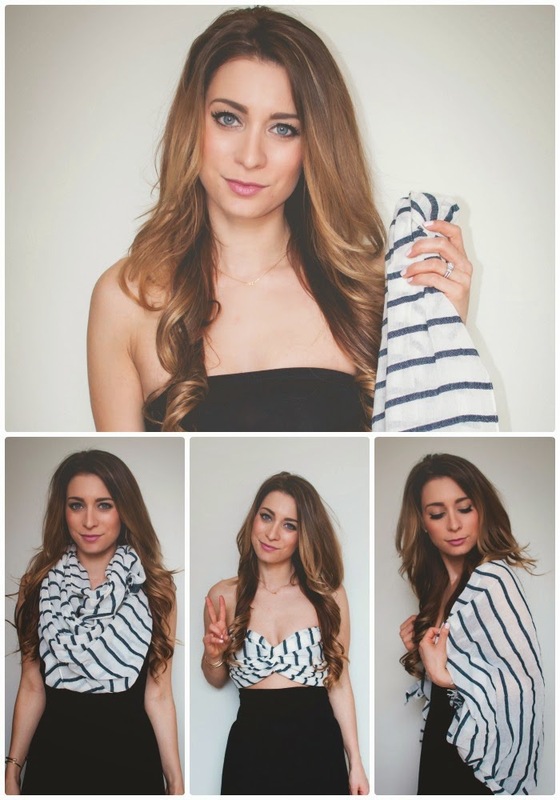 One Scarf, Three Ways - Guest Post For The Wonder Forest | La Petite Noob | A Toronto-Based Fashion and Lifestyle Blog. I'm super excited to announce that I am a guest contributor for one of my favourite blogs, Wonder Forest! Dana is an incredibly talented lady, and her blog has provided me with endless amounts of knowledge and tips. In fact, her wonderful tips on starting your own blog proved to be so valuable to me, and were the reason that I finally gained the confidence to start a blog of my own! Check her out, and be sure to follow my monthly instalments regarding developing personal style and building a re-mixable wardrobe. For my first post, I go into detail on how to reimagine a simple scarf to wear it three different ways. Visit it here and let me know what you think! So intrigued and amazed by how you turned a scarf into a crop top, thats taking versatility to a whole new level! An Update - Chicago Bound!